Art-competition.net is an international fine art on-line juried competition that is open to all visual artists, 18 years or older. Entries are invited for " Faces Of Humanity" where twenty artist will be selected for an online group exhibit at Gallery25N. One of the five work of art will be chosen from the selected artist. The exhibit and artists will enjoy an extensive marketing worldwide to over 20,000 people including art buyers, gallery owners, curators, collectors. The emotion,beauty,love,hope and wisdom as seen in the faces of the people from varied culture across the diverse community will be selected by the curators. Understanding and accepting the values of others will be encouraged through the photographs. This competition is open to all artists/photographers 18 years of age or older. Submissions for consideration can be expressed in any of the following aspects: representational, expressionism, surrealism, or abstraction. 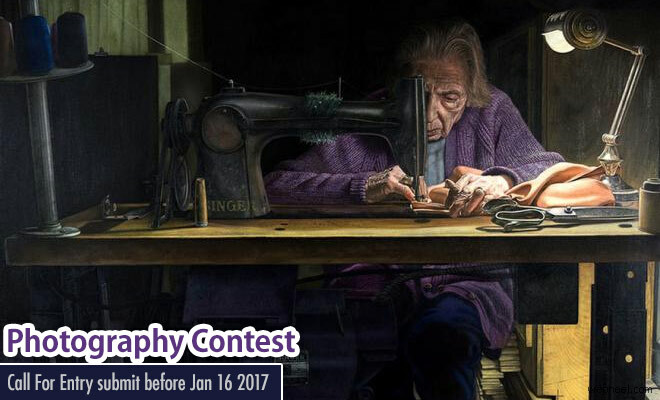 Entries must be created in any still medium: painting, drawing, photography, sculpture, digital art, prints, fiber art, collage, installations.